Podcasting continues to grow by leaps and bounds, and it now seems like every media business has a line of podcasts. But should they? And if they want to enter the podcasting business, what should they keep in mind? First let’s restate the obvious: Podcasting is hot, especially when it comes to advertising. The IAB anticipates that ad spending on podcasts will more than double 2017 revenues ($313.9 million) to $659 million by 2020. That’s still only a tiny proportion of the wider U.S. radio and television advertising market, but it’s growing at a much faster rate than the more mature mediums. The recent Podcast Upfront (the fourth annual edition) added even more buzz to the topic, with broadcasters and podcasters alike — including NPR, Univision, iHeartMedia, and Midroll Media — promoting their podcasts to advertisers. 1. Do you have a unique topic with unique expertise to tell the story? Now that it seems like everyone has a podcast these days, it’s important to differentiate yourself from the noise of the pack. That means strategizing, and amplifying, what makes you unique. Part of what makes the New York Times’ “The Daily” so popular, for example, is that they are in the unique position of bringing their own reporters on air to tell the stories they know well — to offer a behind-the-scenes, human perspective. 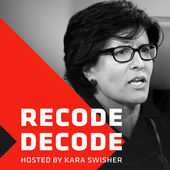 “Recode Decode” with Kara Swisher, no doubt, built an audience who appreciates Swisher’s deep expertise in reporting on the tech industry, and her sometimes off-the-cuff, very blunt style of interviewing. (Just have a listen to her interview with Mark Zuckerberg, if you need an example). So what has come of these forays into podcasting? Well, look at “The Daily.” It now reportedly has 5 million unique listeners a month and can charge $290,000 a month for sponsorship. It is even putting up billboards on Hollywood Boulevard that are attracting the attention of passersby who are taking pictures in front of them. While it’s not clear yet how the billboard ads are contributing to more downloads, it’s obvious that “The Daily” is continuing to engage its listeners in the physical world as much as through audio speakers. 2. Do you have sponsors in mind beyond vanilla ad networks? Programmatic targeted advertising on podcasts is not yet mainstream. So, it’s not uncommon to hear advertisers catering to a podcast’s whole audience, rather than audience segments. But that doesn’t mean you have to go to the same advertisers as everyone else. Squarespace and Casper Mattresses, for instance, have become such default advertisers on podcasts. Having podcast-centric advertisers can have the side effect of making the podcast itself seem less unique from the pack. As with any medium, good advertising comes from knowing your audience well. And while podcasts do tend to attract younger, more affluent and educated listeners than other mediums, this audience is certainly not homogenous. Take, for example, a recent collaboration between Sony and Midroll. They created a custom “minisode” of the popular podcast “My Favorite Murderer,” in which the hosts talked about the movie “Searching” and featured listeners’ examples of people who hide secrets (a theme of the movie). It was — as the hosts put it directly to their audiences — a “big long commercial” for the movie “Searching.” This kind of direct sponsorship of an entire episode can avoid ad-skipping on podcasts and keeps listeners engaged. And it’s catered directly to the kind of audience the podcast would attract anyway. 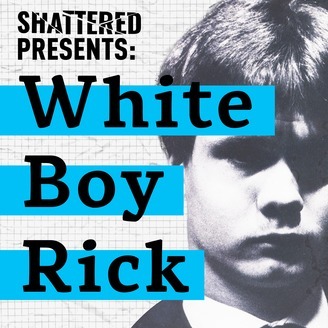 Another good example is “Shattered: White Boy Rick,” a podcast from WDIV local TV in Detroit, which includes ads for the new movie, with comments from stars such as Matthew McConaughey. I’ve been listening to the podcast while traveling, and those ads were so relevant to the story that I never fast-forwarded through them. 3. Can you rise above the noise and promote it effectively? This goes back to being unique … and being clever with how you promote yourself. It helps when a popular podcast (like “This American Life,” for instance) can hype up a new show (like “Serial”). This turns an established audience on to a new show that needs to build an audience from scratch. Similarly, with broadcast networks now looking to attract podcast listeners, they can also reap the benefits of having a large platform to reach an audience. That’s what iHeartRadio and NPR executives both said were to their benefit in promoting their podcasts. It also helps to build a relationship with your audience. This has as much to do with having an engaging host who seems like your friend, as much as it does with being specific with how, and why, you’re engaging your audience. That audio is “the theater of the mind” has become a common pitching point for people interested in getting into the podcasting space. Don’t forget that you have to do the work to get the audience to that level. 4. Do you have solid metrics to prove your audience and its engagement? And doing the work to bring the audience to the hyper-engaged, imaginative visualization of audio brings us to metrics. This is tricky territory and becoming a bigger part of the podcasting conversation. This year’s Podcast Upfront, for instance, was much more about targeting, measurement and results than in the past. While it’s still hard to prove true listenership (including listening to ads) with just a raw number of downloads alone, metrics and data are improving, as are the chances you can prove your audience and engagement. Which brings us to another point: Before even trying to attract advertising, it’s important to build a foundation of listeners and episodes — a resumé, if you will — to showcase why you’re worth the investment. And it’s also worth considering if creating a new podcast is really best for a given publisher. While some branded podcasts exist (for example, Tinder launched a branded podcast with Gimlet about dating), it’s also possible to, say, pitch an episode to an existing podcast, and reap the benefits of a built-in audience who already trusts their host. This is especially important to consider if you don’t have the time or resources to build an audience — otherwise, it is very easy for a podcast to stay in the territory of being an experimental investment that might not necessarily reap financial or editorial benefits. 5. How much can you extend the podcast brand into ancillary revenues? Think about how “Longform,” another popular podcast, and Recode have partnered to create live “on stage” podcasting events you have to purchase tickets for. The New York Times sent the stars and creators of its popular podcast “Caliphate” (reporter Rukmini Callimachi and producer Andy Mills, respectively) to participate in live New York Times subscriber events around the country. While these events were generally recorded for specific local podcasts, attendees came to find Times tote bags on their chairs. And movies and TV are part of this equation. The TV show “Alex, Inc.,” was loosely based on the popular Gimlet podcast “Startup.” The podcast “Limetown” is expected to hit the small screen as well. 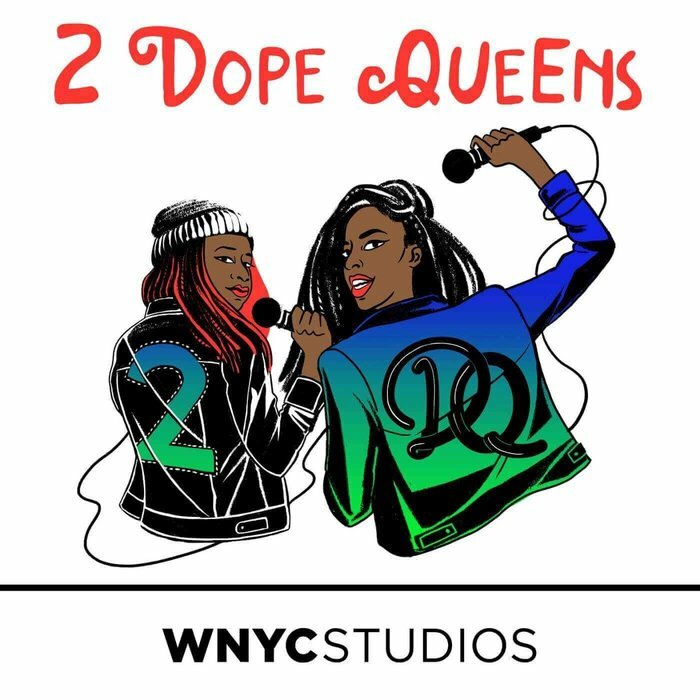 And HBO created a TV series based on the popular “2 Dope Queens” comedy podcast from WNYC Studios. That’s just a few examples. Remember, a good story has the potential to live anywhere. It’s not uncommon for books to be turned into movies. So why not podcasts? So, while podcasting – and podcast sponsorship – is growing, it’s still vital to take stock of what you can offer and how much you can invest before you find yourself in the weeds. Podcasting may be less expensive medium to break into than most other media (e.g. video), but that doesn’t necessarily mean growing a podcast is a piece of cake. The more you take it seriously, plan ahead, and learn lessons from the masters, the more it can deliver for you and your audience.